Turning 40 isn't always a welcome event. We tend to lament the formal entry into middle age and, in some cases, deal with it in a curious way - perhaps going and buying a Harley Davidson motorbike, or setting off to climb Mont Blanc. Some of us even deny that turning 40 has happened. But this year, a 40th anniversary should be applauded and publicised as much as possible. Granted, it's not a human one. I'm referring, though, to something created by human beings and made into the law of the land: the Health and Safety at Work Act, 1974. The Act received the Royal Assent on 31 July 1974. For all that the redtops insist on running stories bemoaning the 'nanny state' and claiming that it's a result of this piece of legislation, they're wrong. The Health and Safety at Work Act has changed our lives immeasurably for the better. Before the Act came into being, fatalities to employees covered by the legislation then in place stood at 651. Hundreds of thousands of people were being injured. But last year, as this piece from the Telegraph reports, the number of fatalities at work was down to 148 and non-fatal injuries have dropped by more than 75 per cent. This is a result of the Act and, indeed, the actual reduction may well be greater: back in the early seventies, data for sectors not covered by health and safety law was not collated. The Act places a duty on all employers 'to ensure, so far as is reasonably practicable, the health, safety and welfare at work' of all their employees. Among its provisions, the Act requires employers to ensure the safe operation and maintenance of the working environment, plant and systems; the maintenance of safe access and egress to the workplace; the safe use, handling and storage of dangerous substances; that there is adequate training of staff to ensure health and safety; and that there is adequate welfare provision for staff at work. Safety procedures must be displayed for all to see, proper training given, adequate protective clothing worn and risk assessments made. All risks must be controlled and monitored. 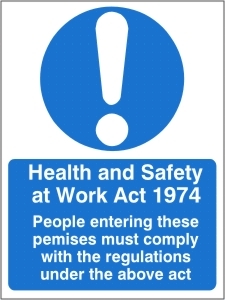 "This year will mark 40 years since Health and Safety at Work Act received Royal Assent. Arguably it is one of the best pieces of legislation on the statute books - although we know it is often misunderstood and misinterpreted. It has protected millions of British workers, and driven sharp reductions in incidents of occupational death, serious injury and ill health." The Act came about as the result of the recommendations of the Robens Committee, which reported in 1972. It concluded that the existing workplace safety legislation was too complicated and confusing, with about 30 Acts and 500 sets of regulations. Lord Robens proposed a simplified structure, the primary intention of which was to ensure that the highest standards of health and safety at work were met. Intriguingly, Lord Robens did not cover himself in glory in 1966, when the Aberfan disaster happened. Then, at 9.15 am on Friday, 21 October 1966, a Welsh community was devastated when a waste tip slid down a mountainside. Colliery waste, liquefied by underground springs, killed 144 people, 116 of whom were children. Lord Robens, then the Chairman of the National Coal Board, took a full 36 hours to arrive at Aberfan, preferring first to attend his investiture as Chancellor of the University of Surrey. 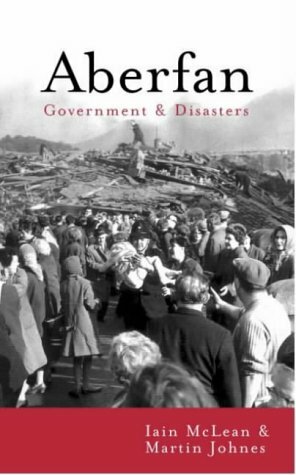 Robens' subsequent behaviour over Aberfan was scheming and cynical, as revealed by Professor Iain McLean and Martin Johnes in their excellent book, published in 2000, Aberfan: Government and Disasters. Perhaps Robens' conscience helped him later urge the enactment of the Health and Safety at Work Act? I am not sure, but I do know that the Act is a 40-year-old that we should celebrate.